Uncapped High quality Duracell 9v batteries in economical bulk packaging. Long lasting, reliable alkaline 9 volt battery. Every day, reliable 9V alkaline performance for endless applications. Our genuine Duracell MN1604 Coppertop 9V batteries are strong, long-lasting alkaline batteries. They are the consumer version (ideal for wireless mics, in ear monitors, handheld devices, smoke alarms, infusion pumps, radios, portable transmitters, security back-up systems, and more) of the Duracell Procell brand (the professional/industrial brand specifically marketed to businesses and organizations that use batteries in their operations). Attention Wireless Mic Users: 9V batteries vary in size. Before buying, please refer to your device manufacturer's battery recommendation. Learn more. Our Duracell MN1604 9v alkaline batteries are fresh and highly dependable, delivering long-lasting power. Duracell Coppertop 9v batteries operate reliably in temperature extremes of -20° C to 54° C. Each Duracell 9v alkaline battery has a minimum 2-year shelf life and is date coded with the expiration month and year stamped on each battery. Duracell Coppertop 9v batteries contain no added mercury. Special disposal not required. These Duracell 9V alkaline batteries are uncapped, meaning they do not have detachable terminal protectors in place safeguarding the + and - leads like our Duracell Procell line. A fresh Duracell Procell battery is typically charged a bit higher (9.5 volts or higher) than the Duracell Coppertop (which could be between 9.4 and 9.5 volts). Keep this in mind when purchasing 9V batteries for your most critical applications. The Procell is a superior battery and will generally outlast the Coppertop. As with all our batteries, these Duracell 9V alkaline batteries are guaranteed. Did you know? Duracell, the name that already stands for quality, now features Duracell Duralock Power Preserve™ Technology! This technology increases the shelf life of Coppertop 9V batteries if properly stored. For more information, read the Duracell Duralock Power Preserve™ fact sheet. 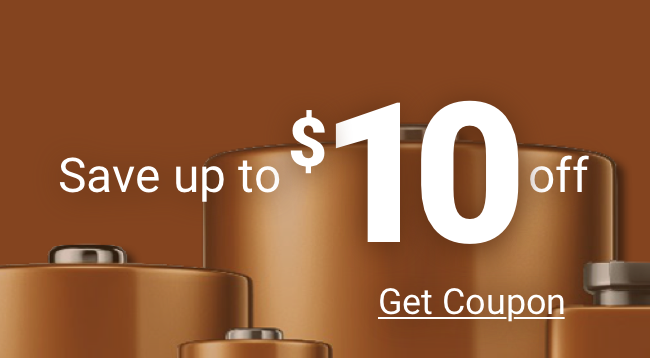 Do I need capped Duracell Coppertop 9V batteries? IMPORTANT: The technical specs for Duracell Coppertop and Duracell Procell batteries are identical. However, capped batteries are for applications where the 9 Volt battery will be traveling extensively. The cap is a replaceable, detachable terminal protector that safeguards + and - leads from shorting out during travel against conducting metal objects such as wires, other batteries, loose change in your pocket (ouch! ), etc. Most applications do not need them but they are convenient for identifying batteries that have been used.